Get a jump start on next fall's lesson plans by checking out the best of our beginner's kits! Soldering is one of the most fundamental skills needed in the world of electronics. Although it is possible to learn about and build electronics without picking up a soldering iron, you’ll soon discover that a whole new world is opened with this one simple skill. Getting started with soldering is the perfect jumping-off point, especially for students to not only understand the technologies they use everyday but also be able to build, alter and fix them. Need a quick lesson? Check out basics and history of soldering by reading this tutorial! Build a light-up unicorn badge using an LED and battery to learn the basics of soldering. What you'll learn: The very basics of soldering. What you’ll learn: Test the waters with this beginner’s soldering kit that teaches you the basics of PTH and SMD soldering. Build your own lighthouse using diverse components such as resistors, NPN transistors, capacitors and a power switch. Skill level: Beginner/intermediate - assembly and a basic knowledge of soldering will be required. What you’ll learn: Reinforcing basic soldering skills; by changing the value of the resistors you can change the flashing pattern. This night light kit is designed to adjust the LED brightness depending on how dark the environment becomes. Skill level: Intermediate - assembly and a basic knowledge of soldering will be required. What you’ll learn: This kit provides a good lesson for individuals looking to expand their soldering expertise by building a light-activated night light cube. Patience is required, as assembly skills will be put to the test to make sure the PCB housing is constructed correctly. It is important for students to have a fundamental understanding of how a basic circuit works. These kits help showcase this concept using easy, fun activities! 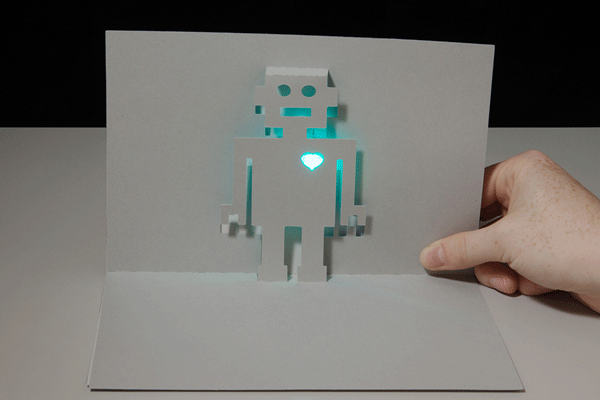 Paper Circuits - Paper circuits are becoming more and more popular in the hobby electronics world. The easy availability of materials and abundance of new products has created a unique ecosystem for crafters looking to make the leap to electronics. This medium for explaining basic circuitry has become popular with teachers looking to keep material costs low for the classroom. 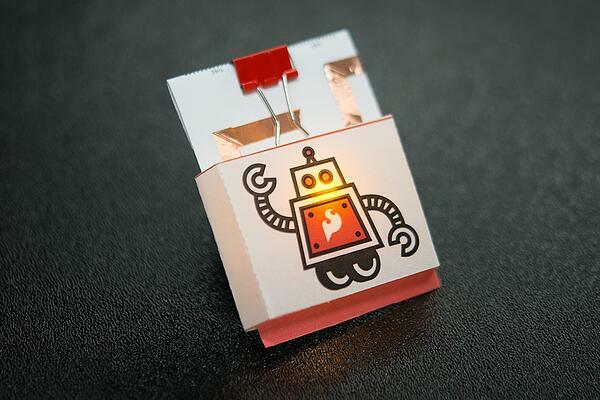 Understand a basic circuit by creating a light-up robot pin! What you’ll learn: This quick craft project shows you how to create a circuit using copper tape instead of wire to light up an LED, and make a wearable piece of e-craft art. Translate your knowledge for creating a basic circuit using copper tape, a battery and a cycling RGB LED into a customizable greeting card. What you’ll learn: With the skills learned in the Paper Circuit Pin activity, begin to explore different configurations to place your LED in new parts of your design! Put your artistic skills to the test by creating a unique design! This is an invention kit that encourages students to find creative ways to interact with their computers by using everyday objects as a replacement for keyboards and mice. With the Makey Makey, you could replace your space key with a banana, use Play-Doh to move and click your mouse, or high-five your best friend to advance PowerPoint slides. What you’ll learn: Students will combine materials found around the classroom with the coding projects they create on their computers to bring their creations to life. The Makey Makey comes pre-programmed, making it easy for students with no coding background to experiment and learn. If you are planning on experimenting at all with electronics, knowing the basics of programming is key. Programming, no matter what the language, is one of the most necessary skills your students will need. micro:bit is the latest and greatest in single-board computer kits. 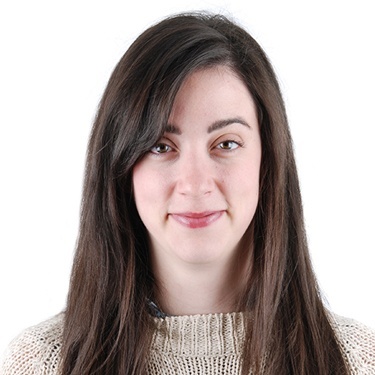 Surrounding the micro:bit SIK is one core philosophy — that anyone can (and should) experiment with cutting-edge electronics in a fun and playful way, without breaking the bank. What you’ll learn: Build multiple circuits that help you learn to read sensors, move motors, build Bluetooth devices and more! Get started with Arduino by building 16 circuits and five projects using a full-color guidebook to walk you and your students through the process. Skill level: Beginner (recommended for ages 10+) - does not require previous electronics, programming or soldering experience. What you’ll learn: Teach students the basic concepts of electronics and coding in a hands-on manner using SparkFun hardware and Arduino software. Have you mastered these beginner kits? Want more? Let us know in the comments.